The paper inside the box has a blue # printed on the upper right corner which is “83276182”. 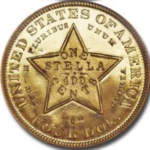 The 3 paragraphs on the paper describe information about the historic coin, valuable memento, history, etc. At the very bottom of the paper is printed “United States Government 1972”. Can you tell me what it’s worth might be or how I can find out? I am not familiar with grading and other words I’ve read about. I sure would appreciate any information you’d share with me. I really have learned a lot from your site. Thanks! 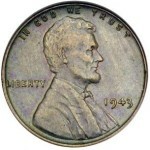 In the early 1960’s the U.S. government discovered huge quantities of uncirculated silver dollars in storage. Many bags of 1,000 were sold at face value. 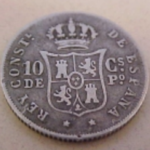 As the price of silver rose substantially over the face value of all silver coins, the sale of dollars was withdrawn. 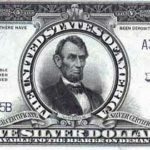 Many souces from collectors to dealers and the general public recommended various schemes in which to sell off the remaining government silver dollars. On Dec 31, 1970 President Nixon signed the Bank Holding company Act which included a provision authorizing the General Services Administration to sell the silver dollars. In 1971 the Treasury turned over the remaining silver dollars to the General Services Administration. They were stored at the Bullion Depository at West Point, New York. 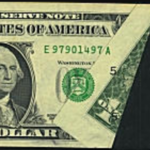 The GSA held five mail-bid sales of Carson City Mint dollars and two fixed price sales of general mixed dollars. They were encapsulated in hard plastic holders with a black background and packaged in a cardboard box as you described. Prices varied from $20 to about $85. Of the Carson City dollars, a few lucky recipients received better date Carson City dollars but most received the more common 1883-CC and 1884-CC examples. The holders hold appeal to some collectors but the value of the coin depends on the actual grade and the reflectivity of the fields (very reflective fields are called proof-like or Deep Mirror). Approximate value range for uncirculated 1884-CC Morgan Dollars: $160 – $450. 1884-CC dollars that grade higher than MS65 bring much higher prices. For information about grading, see the article U.S. Coin Grading.